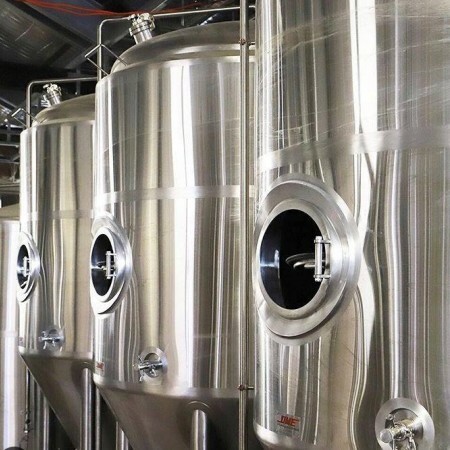 ABBOTSFORD, BC – Two key veterans from the recently shuttered Newlands Systems have announced the launch of a new brewery equipment manufacturing company. König Brewing Systems has been established by Newlands founder Brad McQuhae and executive Balbir Sidhu, and is located in the former Newlands facility on Simpson Road in Abbotsford. König works with customers to custom design breweries to meet specific needs. Listening to the customer’s expectations and building a plan around those expectations leads to the best possible outcome. Design, manufacturing, installation, and commissioning are part of the journey towards a great brewery and König Brewing Systems are experts at each facet. Outstanding follow-up and service is a key feature to König Brewing Systems company goals. Whether it’s a König brewery or from another manufacturer, we can diagnose and offer solutions to any brewery-related problem. König Brewing Systems will never leave you without support. McQuhae had left Newlands sometime after its acquisition by Diversified Metal Engineering (DME) in 2016, and was not involved with the merged company when it went into receivership last year. While DME was rescued by a Dutch corporation and put back into operation last month, the purchase only included the company’s Charlottetown facility, and while the Newlands brand name remains in use by the new company, the Abbotsford factory was closed and the assets sold off via auction. Some of those assets were reportedly purchased by McQuhae for this new venutre. For more details, see the König Brewing Systems website.